Bird-watching in the Amazon has always been a popular activity, but in the lush rainforest full of exotic species, why stop there? Those looking to spot even bigger animals are in luck, because the sport of primate-watching is finally having its moment. Just like bird-watching, primate-watching is all about getting out there and trying to see how many species you can spot, and in the Amazon you can be sure you won’t run out of new varieties to see. In honor of the Chinese Zodiac “Year of the Monkey” that has just begun, let’s look at this growing trend- and how you can try it out when you visit the Amazon rainforest! Like “bird-watching”, primate-watchers go out into nature to see how many primates they can spot. Many participants maintain a “life-list” of the species they have seen, always looking for new ones to add. While bird-watching is a hobby for millions around the world, as well as a multi-billion dollar industry, primate-watching has a much smaller (and newer) community. However, the community is expected to grow significantly in coming years… This is just the start of it! Primate-watching focuses on observing nonhuman primates, such as great apes, gibbons, monkeys, lemurs, lorises, pottos, galagos and tarsiers. More than 90 percent of all primates exist only in tropical rainforests, where the terrestrial ecosystems are the richest and most diverse in the world. Luckily, primates are the most visible mammals in these forests, making the job of the primate-watcher sometimes more fruitful than that of the bird-watcher. While primates are not nearly as diverse as birds, there are plenty for a lifetime of serious monkey-spotting. With over 17 families, 78 genera, and 702 species and subspecies, there is plenty of diversity and opportunity to always search for something new to spot. Since 1990, the community of primate-watchers has discovered and described 105 species and subspecies new to science, with 78 of them being reported after 2000. Besides being an exciting hobby that can take you to exotic corners of the world, primate-watching has plenty of opportunity to contribute to science and conservation. By recording what they see, primate-watchers can significantly contribute to the scientific community’s understanding of various primate species. Sometimes, primate-watchers even observe “lost species” that were previously thought to be extinct, or witness ones that are entirely new to science! Perhaps what is most important about primate-watching, though, is how it can aid conservation efforts. Nonhuman primates are the most endangered large group of mammals, almost half of which are considered threatened. One in three nonhuman primates is listed as Critically Endangered or Endangered according to the International Union for Conservation of Nature (IUCN). Some species have as few as a couple dozen individuals remaining. Primate-watchers travel the world over to spot these nonhuman primates, helping to raise awareness of the value of these species. By meeting the local human communities living on these remote parks and reserves, primate-watchers can help show the value of conserving these primates. Their visits stimulate the local economies, and can provide the tools or knowledge needed for the local people to protect them accordingly. Russ Mittermeier, the long-time Chair of the IUCN/ISSC Primate Specialist Group, describes how he has personally seen the positive impact of primate-watching on conservation efforts. What monkeys can you spot in the Amazon? Interested in primate-watching on your own? Luckily, anyone can participate from anywhere in the world, but the Amazon rainforest is a great place to start! The Amazon rainforest is home to various species of primates, the most commonly-spotted being the Howler, Spider, Squirrel, Capuchin, Tamarin and Marmoset. Read our Monkeys Seen in the Amazon Jungle article. Most travelers who visit the Amazon rainforest will witness a variety of these, and you can count on a local guide to spot them quickly for you! Ready to primate-watch? Your timing is perfect. Kick off the Year of the Monkey by joining any of the online communities of primate-watchers, and making your next trip a monkey-spotting excursion into the Amazon rainforest. Online you’ll find various field guides, maps, customizable lists, and social media accounts that enable anyone to become a primate-watcher! 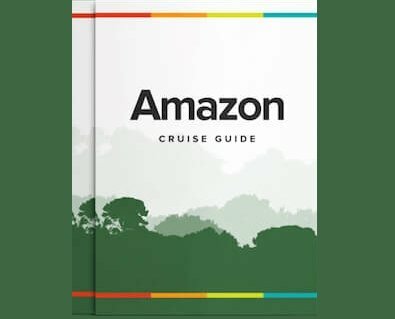 Contact Us for more information about primate-watching on Amazon River cruises.